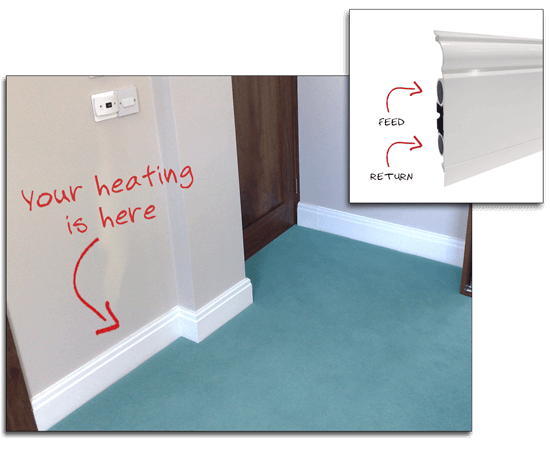 ThermaSkirt – The energy efficient alternative to radiators - DiscreteHeat Co. Ltd. Provides the skirting & heating in one; a uniquely elegant cost effective package. 'Above ground' install - allows the installation of heat pumps and solar thermal even into existing buildings. Panel radiators are widely used in hot water central heating systems as they are cheap and simple to install. Installation of a ThermaSkirt system is simple and straight forward, requiring the same 2 pipes to feed and return the hot water to the boiler, heat pump, wood burning stove or solar thermal system. Panel radiators are actually convector heaters i.e. they heat the room by moving the air around it, with the heat rising to the ceiling. This makes them particularly inefficient, especially in rooms with high ceilings and in conservatories with lots of glass. ThermaSkirt is a true radiant heating system, creating little or no convection currents. Please don’t be misled by other skirting heating companies claiming theirs is a radiant system – if it has slots or grilles to heat the air passing through them, it’s a convector - full stop. In addition these convection currents carry dust and spores from floor level around the room, creating staining on walls over time, and aggravating allergies such as asthma (see Healthy Heat). ThermaSkirt, being easy to clean with a wipe down surface no dust is distributed around your home. ThermaSkirt heats from all the around the room at low level and therefore maximises energy efficiency – the heating comfort is virtually identical to under floor heating but without the disturbance to the floor. 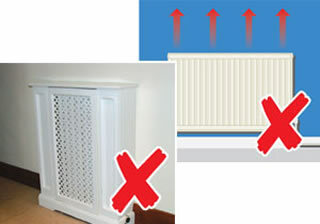 A panel radiator also takes up valuable wall space, preventing best use of your room or optimising furniture position. 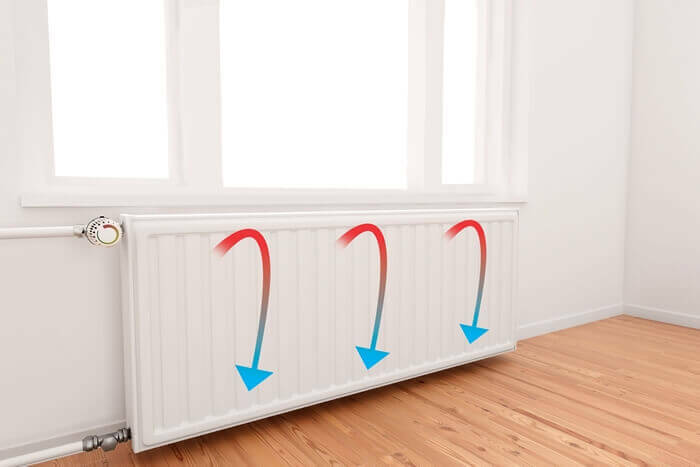 ThermaSkirt eliminates the radiator altogether, and connects onto your central heating system (gas, electric or renewable) either in one room or all rooms as you require. The heating radiator can be eliminated altogether, and your skirting boards replaced with ThermaSkirt to provide a neat, discrete and energy efficient alternative. A low temperature heating system requires a larger surface area to provide enough heat energy. Radiators need to be up to 100% bigger to compensate for the lower temperature. This however does not solve the heating problem of distribution around the room. Radiators often ‘micro-climate’ at low temperature and fail to create a comfortable environment. ThermaSkirt’s larger surface area and even heat distribution maximises energy efficiency and creates room comfort with lower energy costs. ThermaSkirt – the only practical alternatives to radiators in an existing building, especially when renewable heat sources are being considered. Thinking of doing one room at a time? If you have any existing radiator system, it's possible to upgrade 1 room at a time as time and budget will allow.